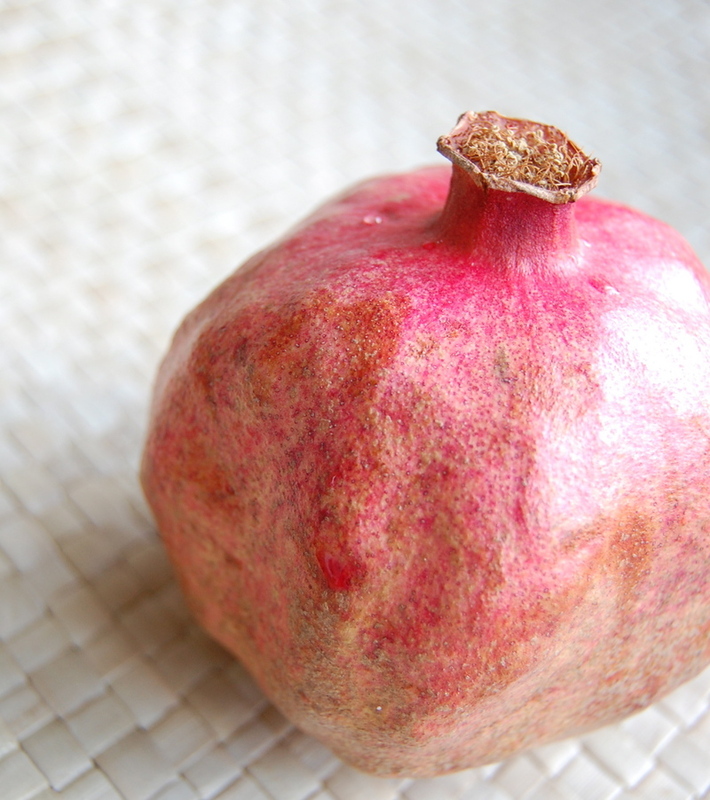 Everyday Highs and Lows: What in the heck do you do with a pomegranate? My mother-in-law is a wise woman. Yes, there are moments when she can be overbearing but it is during these moments when she actually does know best. I hate to admit that but this is something that I have learned over the past 20 years since I started dating Michael. I remember a time when the babies were born, I was still struggling with a weak heart which made me out of breath a lot. I needed a double stroller that was easy to push. While I was pregnant, I stupidly spent $1200 on a Peg Perego one that "I just had to have". Rookie mistake! I thought the brand name was more important than function. I had no idea that I would have heart failure and wouldn't want to push the very heavy stroller with the smallest wheels in the world! I felt chi-chi at first but you don't look very chi-chi when you are out of breath as you push the stroller with two infants in the car seats up a grass hill!! Forget the high heels, I already lost the chi-chi contest when other moms saw me huffing and puffing! So, when I asked my mother-in-law for advice, she kept telling me to get a jogging stroller. I thought at the time that she was telling me to go jogging! As a sensitive new mommy with baby weight that could barely go up a flight of stairs, I remember thinking the suggestion was rude. She even offered to go shopping with me and help pay for it. Several "suggestions" later and we actually went to the store and pushed one. I stopped pushing, hugged her and apologized. Btw, if you are in the market for one, get one with a front wheel that swivels. It's so worth the money. Anyway, she was just trying to tell me that they were easier to push whether I walked or ran!! She never once cared if I jogged or even if I had baby weight. So, that day I learned to hear her a little differently. I also learned to hear her advice as love not as criticism. As the next years passed, I started to learn golden rule, the more forceful she is the better the advice she has. Never underestimate the advice given "over and over" again from a pushy mother-in-law! Also, a word of advice for all the mother-in-laws out there, never underestimate the sensivity of a new mom, either! So, for the past four years, when we visit her and my father-in-law in the winter, she always has a pomegranate sitting on her counter. Every year she tells me how great they are and to "take it" but they always seem hard to deal with, so I have never taken one. Until last week. Trying to remember my rule, and to finally make her happy, I took the weird, odd looking ball. So, I finally grabbed it, grabbed a knife and then sliced it! It felt invigorating. I know it's just a stupid piece of fruit but I have feared this piece of fruit for four years. Now I was finally up for the challenge of figuring it out. Once I opened it, I stared at it. What in the heeeeell?? Now what? At first, I jammed a spoon into it. It sprayed me with dark pink staining juice! Darn it! So I started to put my fingers into it to pull out the strange but very delicious seeds. More spraying as I ate the sweet, juicy seeds. It was wonderful! Wonderful.... Until..... All the juice was gone and I was left with a pile of picky seed scraps in my mouth... Pppppllllaaattt!! I spit the grainy stuff into the garbage can but then I wanted more of the yummy juice! So, I continued the process for the next six times. It was weird. I liked it and hated it all at the same time! I felt like truck driver spitting so much. I was glad I was home alone! I decided to try it on the boys when they got home. I figured they are always starving after school. Maybe they would chow down and not notice the seeds. I was hoping so because pomegranates don't have a ton of carbohydrates. Only 15 for a half cup of seeds! Plus, all you ever here is how nutritious pomegrantes are! I did that silent prayer that moms do before presenting a food with some sort of nutritional value. "Dear God, Pleeeeaaaasse, let my child eat this food and love it so they don't eventually they don't get a super bad sickness. At first, they had the same reaction that I did! They LOVED it! I did the silent in-my-head-but-not-on-the-outside happy dance that parents do!! But, then.... they too, eventually got to the gritty pile of seeds in their mouth. "Pllllaaaattt! ", Zeke spit his out. Darn it again! Rocco must have sensed my saddness because he swallowed his seeds and kept on doing his homework. I did noticed that he never touched the pomegranate nuggets again. When I was cleaning the table, I asked Rocco if he wanted anymore of his pomegranate. He said, "No thanks mom. I kind of like it and I kind of don't". I told him I felt the same way and we both crinkled up our noses and laughed. Well, mystery solved. I did eat the rest of the little juicy nuggets throughout the week and I made sure no one was home while I spit out all the seeds! Here is also a better way to cut it open...less spraying.